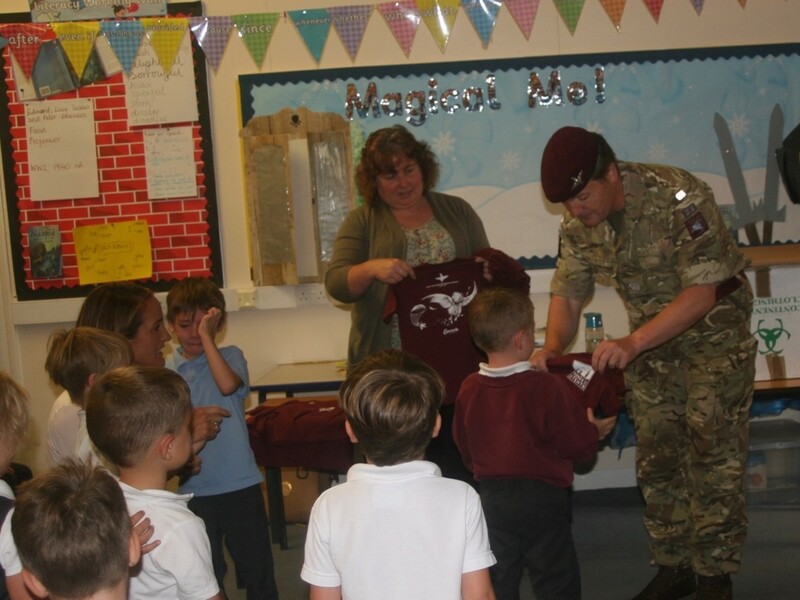 During a recent assembly in Somerby Primary School, the children were thrilled to receive their ‘Friends of The Tenth’ and ‘Myrtle’ T shirts from Major Sean ‘Pinkie’ Philips of the Parachute Regiment. Along with Sean were Alan Staff and Jack Gilbert, both veterans of the Parachute Regiment. 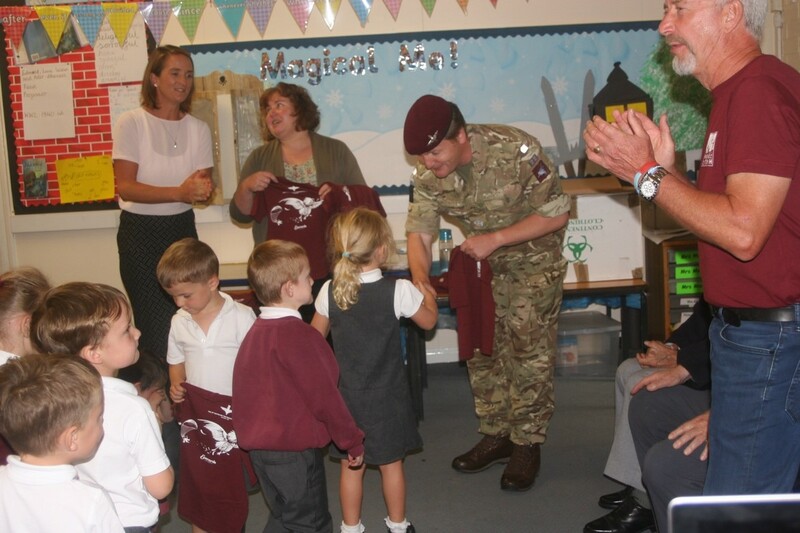 The story of The 10th Battalion The Parachute Regiment’s time in Somerby during 1944 is well known to the children. They especially love the story of Myrtle the Parachick who is featured on the back of the T shirt. Myrtle was the red chicken, taught to fly by Lt. Pat Glover. Pat took Myrtle in the aircraft and they dropped together into the famous Battle of Arnhem. Myrtle even has a role in the film, ‘The Bridge Too Far’. 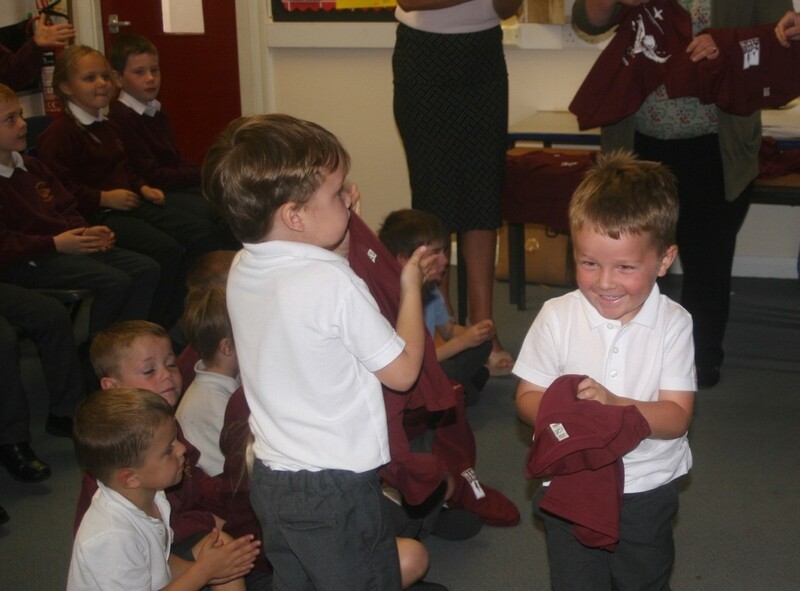 The shirts have been donated by charity, Friends of The Tenth. Amanda Howe, one of the Somerby representatives of the charity, together with teacher, Sarah Moulds are helping lead an initiative to form a lasting relationship between Somerby school and the Marienborn School in Oosterbeek, Holland. Oosterbeek was the village where the 10th Battalion held its famous ‘last stand’ in September 1944. 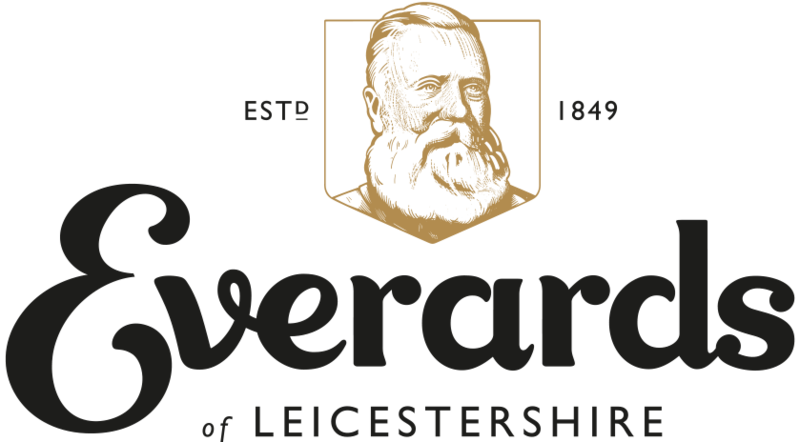 From the 582 who left Somerby only just over 30 men were left to fight.